Ephesians 6:10 A final word: Be strong in the Lord and in his mighty power. 11 Put on all of God’s armor so that you will be able to stand firm against all strategies of the devil...18 Pray in the Spirit at all times and on every occasion. Stay alert and be persistent in your prayers for all believers everywhere. The last definition best describes the kind of strength we need everyday. 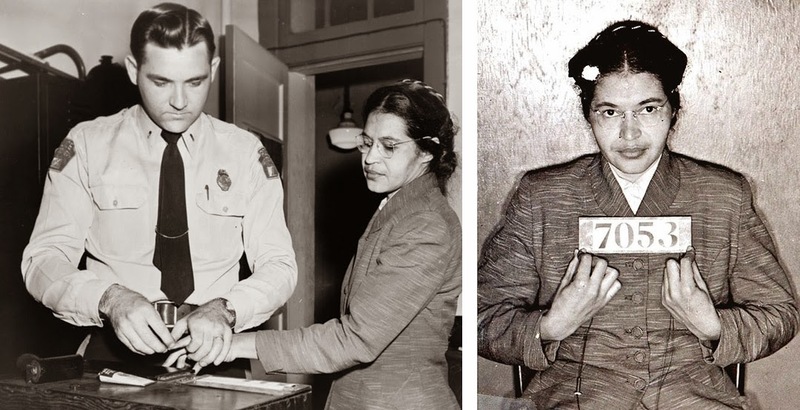 Rosa Parks did not have great physical strength, but she was strong in a "specified direction." Her strength in refusing to sit at the back of a bus, empowered others and helped transform our nation. Strength or weakness has everything to do with your direction and focus. God’s assignments on your life become your greatest source of strength. Weakness comes from only focusing on our own interests. Your direction determines your destiny. Your assignment determines your ascent. People usually cope with, excuse, or manage their weaknesses. When you embrace your weakness in God's Word and Presence, you are ready to exchange it for strength. Grace is always a transforming power. The defining factor is not what you have (weakness), but what you are willing to give up for something better (strength). The Apostle learned this in his assignment: 2 Corinthians 12:9, And He said to me, “My grace is sufficient for you, for My strength is made perfect in weakness.” Therefore most gladly I will rather boast in my infirmities, that the power of Christ may rest upon me....For when I am weak, then I am strong. Remember, being strong in the Lord is all about your direction and focus. Prayer, time in the Word, and keeping your God-given assignments provides a basis for gaining strength. Be strong in the Lord and in your life today!